Shared at Peaceful Parenting with permission. 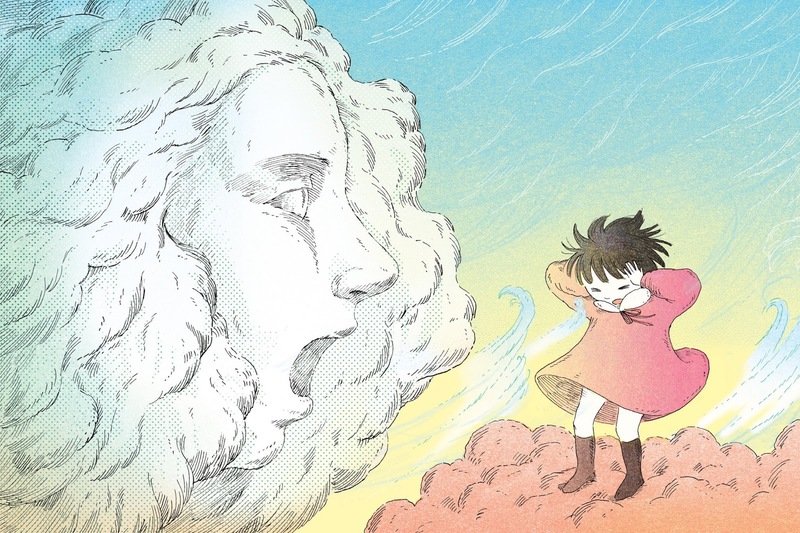 Why you should stop yelling at your kids. It doesn’t make you look authoritative. It makes you look out of control to your kids. It makes you look weak. The use of spanking to discipline children has been in decline for 50 years. But yelling? Almost everybody still yells at their kids sometimes, even the parents who know it doesn’t work. Yelling may be the most widespread parental stupidity around today. Households with regular shouting incidents tend to have children with lower self-esteem and higher rates of depression. A 2014 study in The Journal of Child Development demonstrated that yelling produces results similar to physical punishment in children: increased levels of anxiety, stress and depression along with an increase in behavioral problems. How many times in your parenting life have you thought to yourself, after yelling at your kids, “Well, that was a good decision...”? It doesn’t make you look authoritative. It makes you look out of control to your kids. It makes you look weak. And you’re yelling, let’s be honest, because you are weak. Yelling, even more than spanking, is the response of a person who doesn’t know what else to do. But most parents — myself included — find it hard to imagine how to get through the day without yelling. The new research on yelling presents parents with twin problems: What do I do instead? And how do I stop? Yelling to stop your kids from running into traffic is not what we’re talking about here. We’re talking about yelling as a form of correction. Yelling for correction is ineffective as a tool and merely imprints the habit of yelling onto the children. We yell at our kids over the same stuff every day, and we yell at them some more because the original yelling doesn’t work. Put your clothes away. Come down for dinner. Don’t ride the dog. Stop hitting your brother. The mere knowledge that yelling is bad, in itself, won’t help, said Alan Kazdin, a professor of psychology and child psychiatry at Yale. Yelling is not a strategy, it’s a release. “If the goal of the parent is catharsis, I want to get this out of my system and show you how mad I am, well, yelling is probably perfect,” Dr. Kazdin said. “If the goal here is to change something in the child or develop a positive habit in the child, yelling is not the way to do that.” There are other strategies, and they don’t involve screaming like a maniac. Many think of positivity as a form of laziness, as if parents who are positive aren’t disciplining their children. But not yelling requires advance planning and discipline for the parents, which yelling doesn’t. Dr. Kazdin promotes a program called the ABCs, which stands for antecedents, behaviors and consequences. The antecedent is the setup, telling a child, specifically, what you want them to do before you want them to do it. Behaviors are where the behavior is defined and shaped, modeled by the parent. And the consequence involves an expression of approval when that behavior is performed, an over-the top Broadway-style belt-it-to-the-back-row expression of praise with an accompanying physical gesture of approval. So instead of yelling at your kid every night for the shoes strewn across the floor, ask him in the morning if he can put his shoes away when he comes home. Make sure when you come home that you put your own shoes away. And if your child puts his shoes away, or even puts them closer to where they’re supposed to be, tell him that he did a great job and then hug him. The ABC method of praise is a highly specific technique. You have to be effusive, so you actually have to put a big dumb smile on your face and even wave your hands in the air. Next thing is you have to say, in a very high, cheerful voice, exactly what you’re praising. And then the third part is you have to touch the child and give him some kind of nonverbal praise. The silliness is a feature, not a bug. It makes the kid notice the praise that accompanies correct behavior. And that’s the point. “We want to build habits,” Dr. Kazdin said. “The practice actually changes the brain, and in the process of that, the behaviors that you want to get rid of, having all kinds of temper tantrums and all the fights, all that just disappears.” Furthermore, he noted, “as a side effect, when you do these things, the parents’ depression and stress in fact go down and family relations pick up.” If our kids behave better, then we won’t feel like yelling. And if we don’t yell, our kids will behave better. The beauty of having a system is that instead of reacting after your kids do something bad, instead of waiting for them to mess up and then getting angry, you have a conscious plan. But planning requires discipline on the part of the parent, and it’s tough. “We know that humans have what’s called a negativity bias,” Dr. Kazdin says. “The technical term for that in psychology is ‘normal.’ This is something in the brain, in which through evolution we are very much sensitive to negative things in the environment.” We are hard-wired to yell. It’s an evolutionary survival instinct that has turned on those it was meant to protect. It’s hard to abandon yelling, because it gives us the impression that we’re parenting. In the 1960s, 94 percent of parents used physical punishment. A poll in 2010 found the number had declined to 22 percent. There are probably many reasons, including the influence of a number of childhood development educators. But surely one reason has to be that the reason to spank your kids evaporates if there’s a more effective way to change their behavior that doesn’t involve violence. Why spank if it doesn’t work? The same applies to yelling: Why are you yelling? It isn’t for the kids’ sake. Ultimately, techniques of discipline have to be about effectiveness, about getting through the day while trying to get your kids to do what you want and not do what you don’t want. Praise works. Punishment doesn’t.